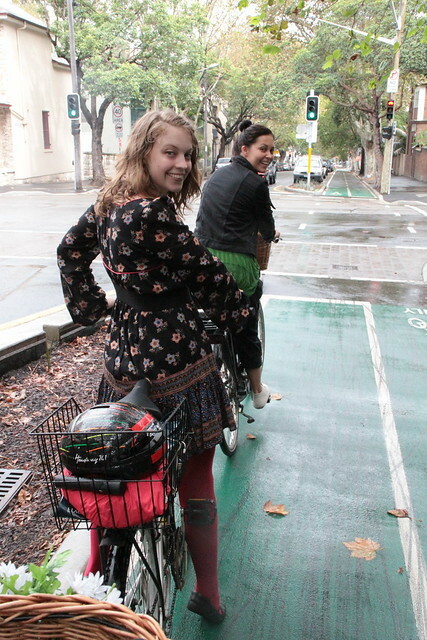 We seemed to narrowly avoid storms all day and rode from Flinders St Gallery up to Charles Hewitt on South Dowling Street and down to First Draft on Chalmers Street with barely a rain drop falling on us. Surry Hills is art nirvana and chock full of galleries, artist run spaces and street art so I know we'll be doing this again - keep an eye out for our upcoming art rides. 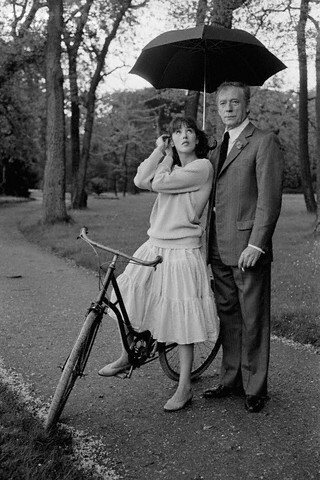 And if it rains next time, I'm getting Yves Montand to hold my brolly for me. Still another week of Art Month left and don't forget the Paddington/Woollahra ARTcycle ride is next Saturday March 26 with Nell Schofield, details here.